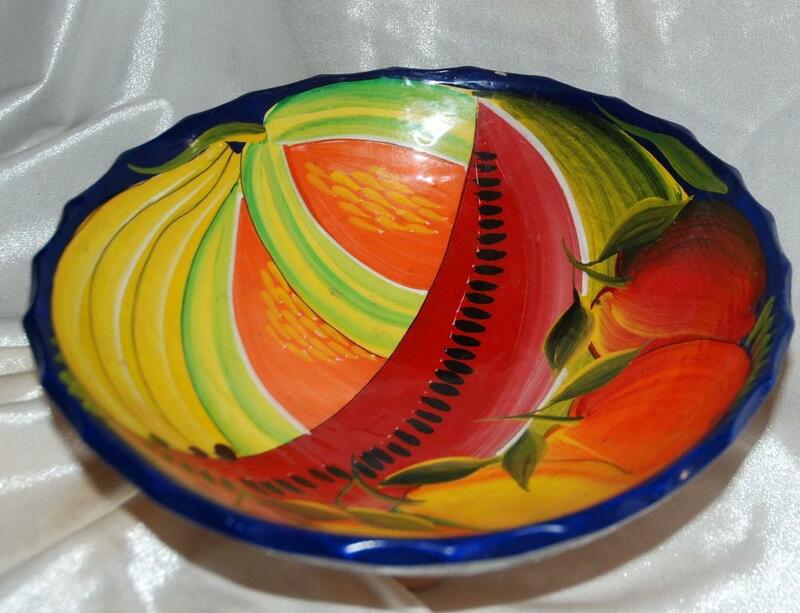 Bold and beautifully hand painted and hand molded Mexican Talavera bowl. It is supported on 3 short legs . 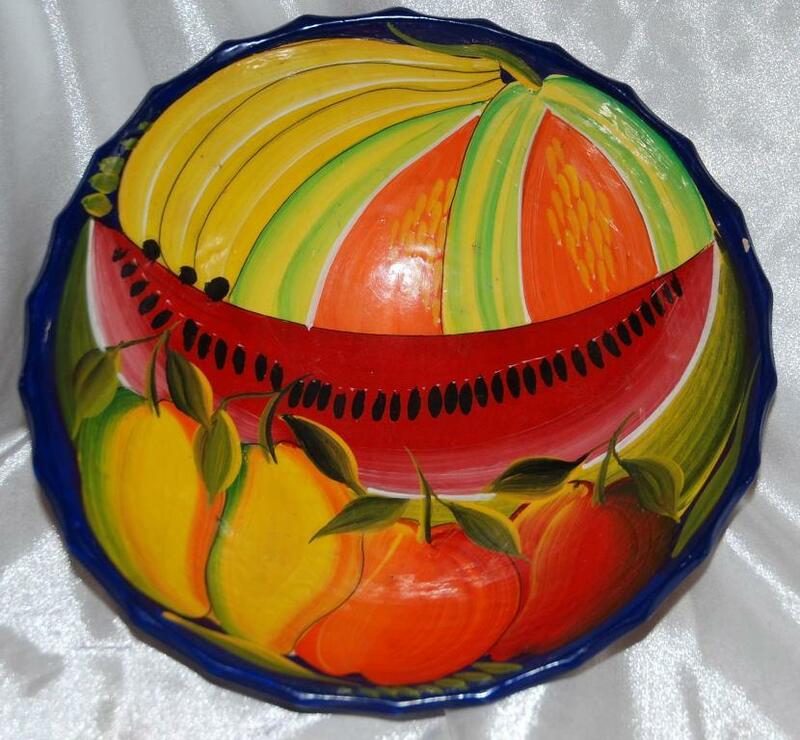 As you can see we have big bold pieces of fruit with a cobalt blue trim. 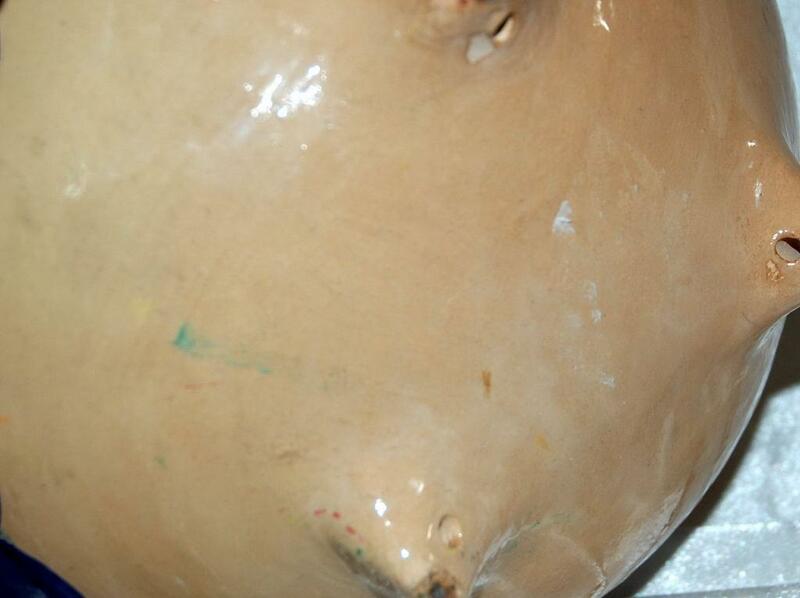 It stands about 4" high and is 9.5" across the top. The condition is very good. There is just one small nick in the blue rim that could be easily painted over. Each of the legs has a small hole and I am not sure what the true purpose of these holes would be however they can be used to run a piece of twin through to use for hanging from a hook on the wall. 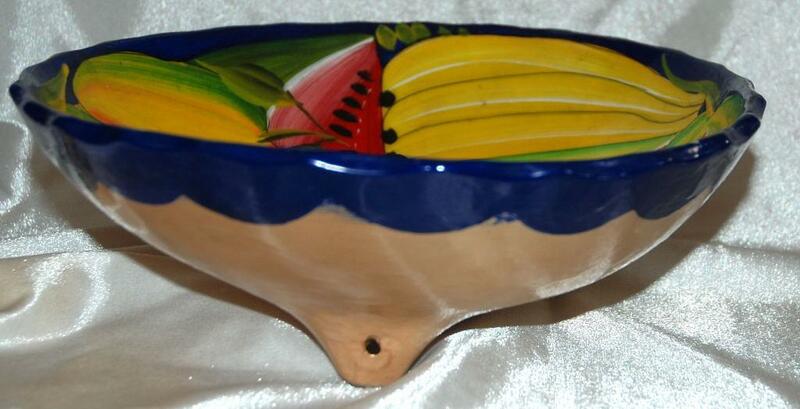 On the bottom looks like a very faint stamp mark that looks as if it could say "MEXICO"
Items Similar To "Vintage Mexican Talavera 3- legged Bowl Cobalt with Watermelon a..."